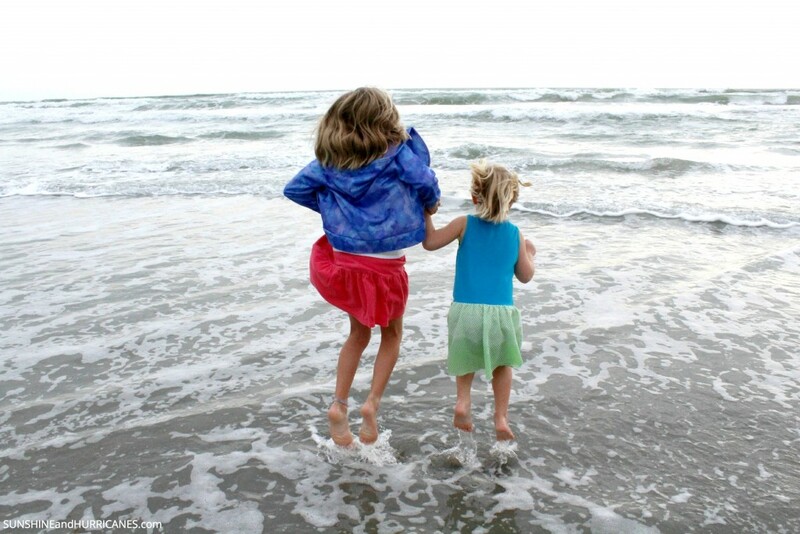 Fun and adventure awaits you on your next getaway, Florida Family Travel Cocoa Beach. This is a great location to visit with plenty of exciting experiences for all ages! Whether you’re looking for the closest beach to Orlando or some ideas for spending time before boarding a cruise ship, you’ll find everything you need right here! Our family recently had the pleasure of spending a weekend on Florida’s East Coast in Cocoa Beach! This seaside town is full of charm and plenty of entertainment options. Located near Port Canaveral, a cruise ship hub, visitors to Florida often spend a few nights seeing the sights before or after they set sail and Cocoa Beach is also a popular place for visitors to come and experience as it is the closest beach to the Orlando area. 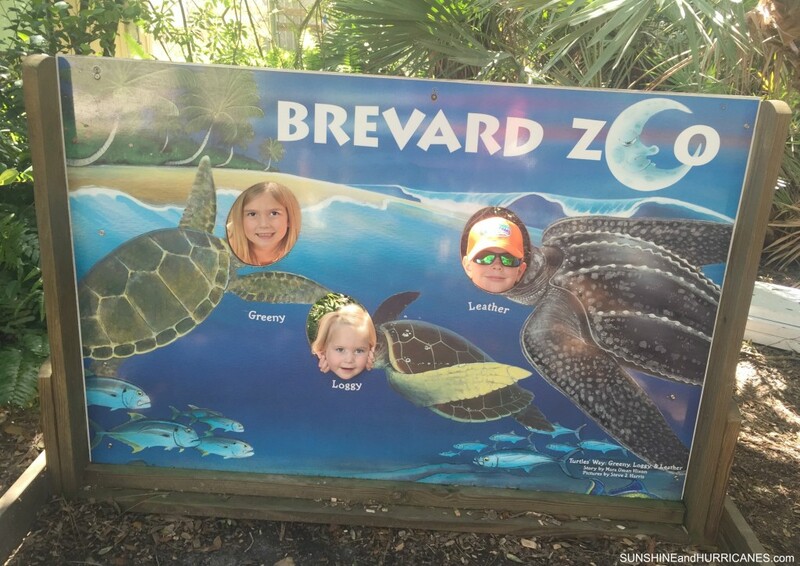 The first stop on our getaway was at The Brevard Zoo. The zoo is located about 16 miles from Cocoa Beach and is a 72 acre wonderland for explorers and animal enthusiasts. I appreciated the tree lined boardwalk and trails, offering respite from the sun and heat. Well laid out with plenty of vantage points to view the animals in natural habitats, my children were laughing and learning throughout our visit. The zoo is extremely conservation focused and offers educational information alongside each animal exhibit, full of useful and practical tips for everyday ways families can support these efforts. The highlight of our visit was the opportunity to feed the birds in the aviary. 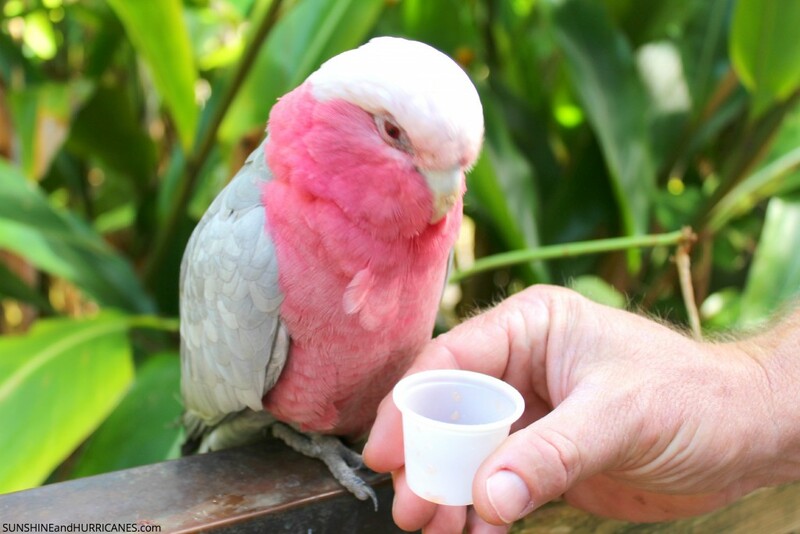 For only $1, guests can purchase a cup of nectar and prepare to make friends with dozens of feathered friends. The assorted birds will land right on your arm(or head!) and feast on the sweet treat! My kids were absolutely enthralled with this entire experience and it’s definitely a unique one they’ll long remember! Next, we headed to our hotel, Courtyard by Marriott Cocoa Beach. Our spacious room was plenty of space for our family of 5 and the private balcony with a view of the Atlantic Ocean was a lovely spot to relax and watch the surf. The staff was exceptional, friendly and full of recommendations for our family and so welcoming, they even included a small cake for my son who was celebrating his 10th birthday! How awesome is that? As a blogger, I was thankful for the complimentary Wi-Fi so I could easily keep up with my business while my family was enjoying the heated mineral pool. 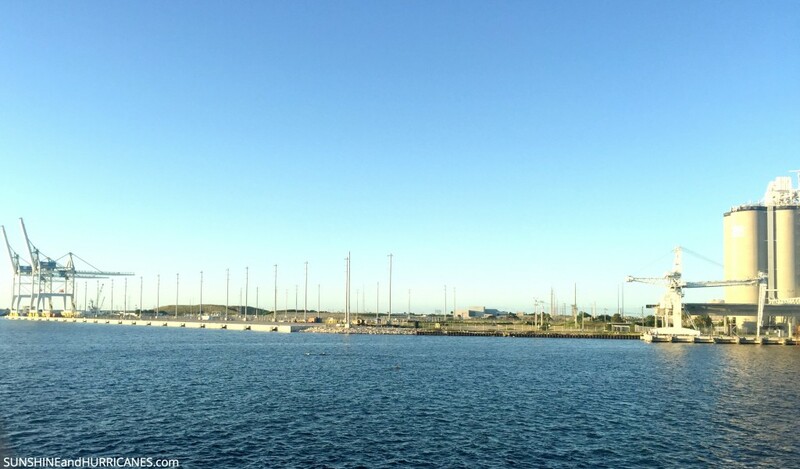 After unpacking, we headed out for dinner at The Cove, an area of restaurants adjoining Port Canaveral. We loved sitting on the waterside deck at Fish Lips Waterfront Restaurant, gazing at pods of dolphins frolicking in the water and a visiting from a manatee! The fresh seafood was delicious and the atmosphere outstanding; the kids loved seeing the cruise ships and activity around the port. After a restful night, we headed out to spend the day at Kennedy Space Center, be sure to check out our in depth post about our visit! It’s a fabulous place for families to visit, full of history, science, and hands on exhibits! 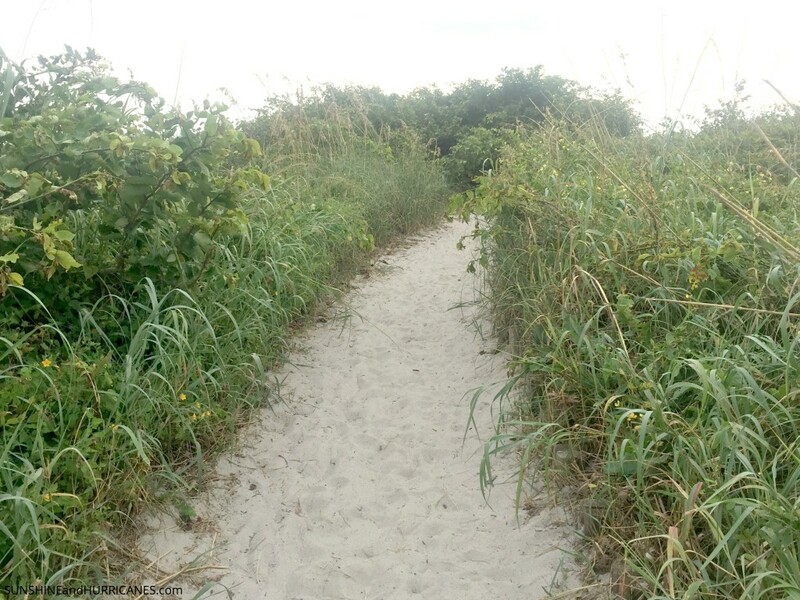 No visit to Cocoa Beach is complete without a visit to the beach! Living on the west coast of Florida, my kiddos aren’t used to the surf of the Atlantic side so lots of fun was had jumping waves and playing in the sea foam! This is a fabulous family beach and the closest one to the Orlando area! 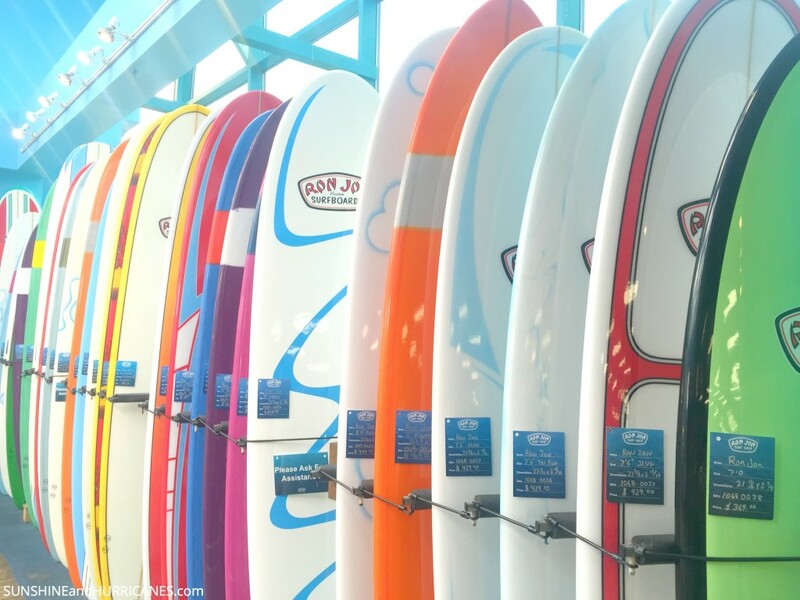 We made a visit to the world’s largest surf shop, Ron Jon’s, and enjoyed a morning learning about surf boards, finding fun souvenirs, and taking in the history of this famous landmark! Open 24 hours a day, you’ll have something to do in Cocoa Beach! Parker Brothers Concepts– This famous team creates the vehicles from several blockbuster Hollywood films like GhostBusters and Battleship. Their famous client list, SyFy Channel show, and amazingly creative concept vehicles have made these brothers among the elite engineers for movie vehicles worldwide. FREE admission and cool photos await you! 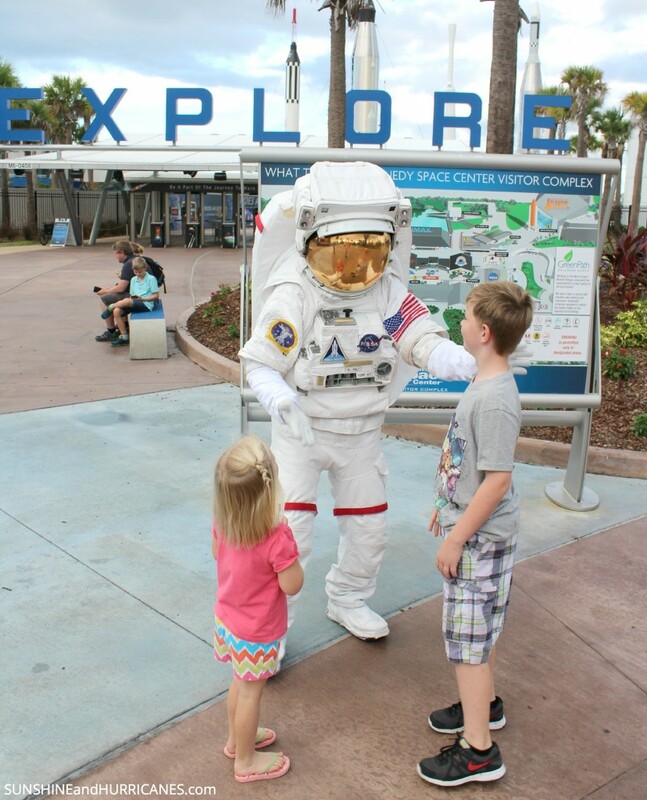 Exploration Tower– 7 stories of fun for all ages, full of hands on exhibits and learning, visitors will get up close with everything from nature to simulators letting you guide a ship through Port Canaveral! Adjoining the port, this is a fabulous way to spend a few hours prior to boarding a ship or grabbing a meal at one of the waterfront restaurants. The Dinosaur Store– Kitschy fun with the world’s most elaborate display of fossils, this venue features an adventure zone that can be visited for a fee, where hands on displays and games are available. If you have a dinosaur lover in your family, you don’t want to miss this one! For the most up to date information and lots of tips on attractions, where to stay or eat, and must do activities visit the Space Coast Tourism site! They’d love to answer your questions, give you recommendations, and help you coordinate a memorable stay in beautiful Cocoa Beach, Florida! Need more ideas for family fun throughout Florida? We have ideas that will let you get up close with alligators, see live mermaids, and explore all the fun in Orlando outside the theme parks! 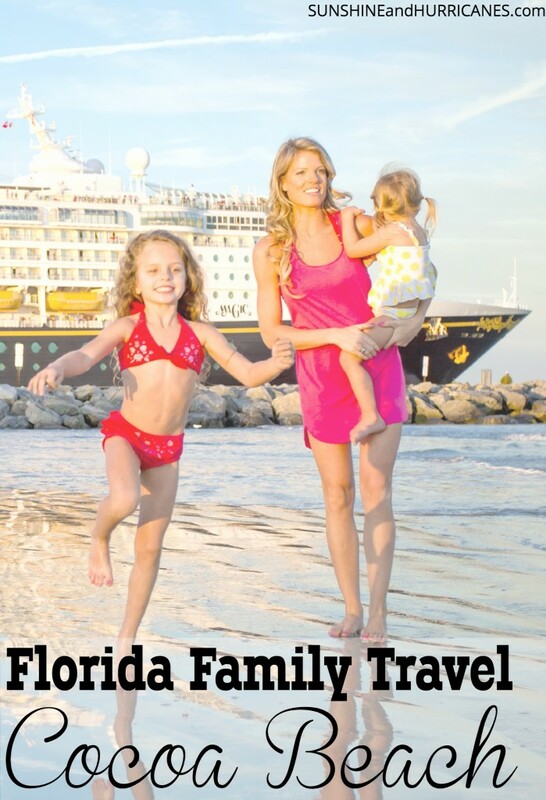 Be sure to visit our Florida Family Travel page, there’s nothing like the sunshine state for excitement and adventure! I have never been to Cocoa Beach. My daughter would absolutely love the zoo. She, not only is a huge animal lover but would absolutely love feeding the birds. I’d love to take my cousins to that zoo–sounds like a blast! Glad you had a great time! I love beaches and love when they are incorporated into one of my vacations. That bird shown here is so pretty. I would personally enjoy a visit to the Dinosaur Store. Oh my! So fun! I want to go there now! This looks like such a fun vacation! I would definitely want to go to the aviary and see the birds – they’re my favorite! I’ve never thought of vacationing in Florida besides Orlando since I live on the opposite beach coast! What a fun place to visit. I have not been to Florida, yet. I hope to get there someday. This looks like a wonderful vacation! I love all the pictures. WOW, this place looks amazing. I don’t think I could be that close to a Disney Cruise without having to get on it! Looks like such a great time. I visited here one when we lived in Orlando. I personally prefer the gulf beaches. I’m not a big fan of the rough surf. I have never been to Cocoa Beach, but it sure looks like there is a whole boat of fun activities to be had there! Maybe one day. Love the picture of the bird! So pretty. We enjoyed a great night’s sleep, too! Marriott is good at taking care of it’s guests, that’s for sure! Cocoa Beach and the surrounding area are a great place to take a family vacation. I remember going to the Kennedy Space Center as a kid and loving it. It’s a fantastic place for families…tons to do and yet a very relaxed vibe! Looks like such a fun trip! We’re always looking for new family-friendsly vacay spots! This is a great one and so convenient to many Florida attractions, too! It’s definitely grown and offers a lot of activities! I’ll have to check out what you thought of the space center. We were there in February and I wasn’t super impressed. Maybe you have to visit with a space fanatic? Well, we visited with 3 of my kiddos and they quite enjoyed it(ages 4, 8, 10). My hubs and I also learned quite a bit and enjoyed the history aspect, too. Thanks for stopping by!